What a way to end the year! A 3-0 win at the Santiago Bernabéu, Barça’s third league victory in a row at the home of Real Madrid. But if that wasn’t enough, the weekend has produced even more positive news for the Catalans’ title challenge. Everyone, Ernesto Valverde included, has been reminding us this week that much as Real Madrid are the defending European and Liga champions, it’s Atlético Madrid and Valencia that are second and third in the table. But those two teams also lost on the final weekend of Liga action in 2017. A Sergio García goal two minutes from time earned Espanyol three much-needed points at home to Atlético on Friday evening. And on Saturday afternoon, Valencia’s impressive start to the campaign took another slump in the wrong direction as they lost 1-0 at home to local rivals Villarreal, their third defeat in four games. Carlos Bacca’s first half goal split the teams in a tense game that saw both sides finish with ten men. 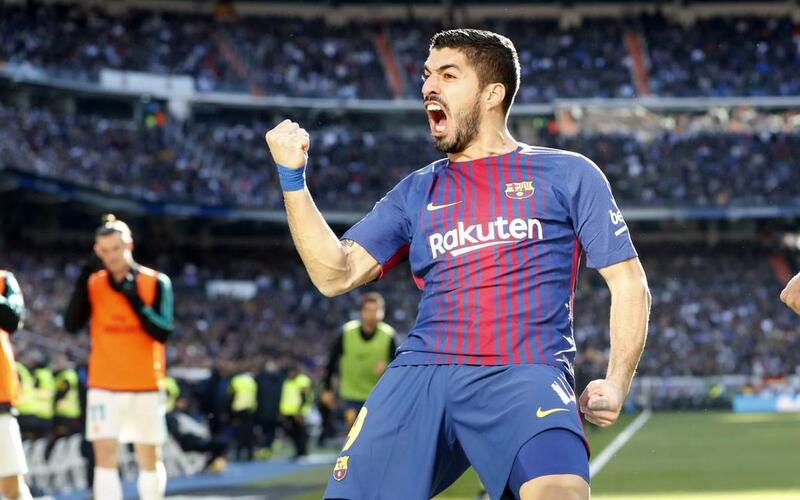 A fabulous week leaves Barça a massive nine points clear of second placed Atlético, a colossal eleven ahead of Valencia, and an absolutely humungous fourteen points separate them from Real Madrid. Spanish football now takes a break for Christmas and the New Year, and Barça will return to action on January 4 at 7.00pm CET with the first leg of the Copa del Rey round of 16 tie away to Celta Vigo, who ended the year by winning 3-1 at Deportivo in the Galician derby. League football resumes on January 7 at 4.15pm CET, when Barça host Levante in the first game of 2018 at the Camp Nou (TICKETS HERE) The Valencia based side are currently 16th after a 0-0 draw at home to Leganés. Meanwhile in England, Barça’s Champions League opponents Chelsea drew 0-0 away to Everton – a result that means they’ll be staying in third for another week, with the two Manchester clubs leading the way and Liverpool fourth.